Twirly and flirty. 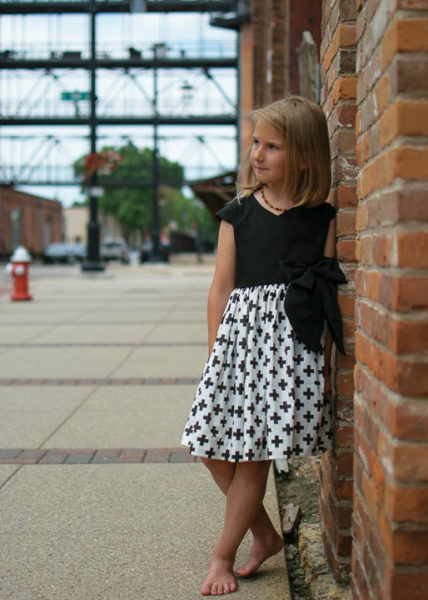 Adorable and still sophisticated enough for older girls, The Rivier Dress is a versatile and timeless warm weather dress. The Rivier Dress is a faux/partial wrap dress with a unique closure. Add a ruffle or cap sleeves or choose simple and streamlined. 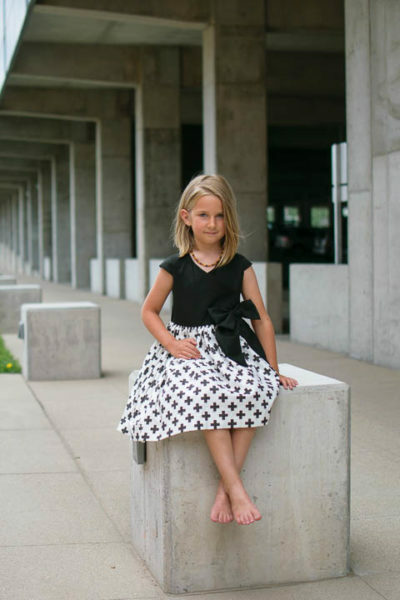 A full, gathered skirt dresses the outfit up and is accented by a bow on the hip. Sized 18mo all the way up to teen 16. 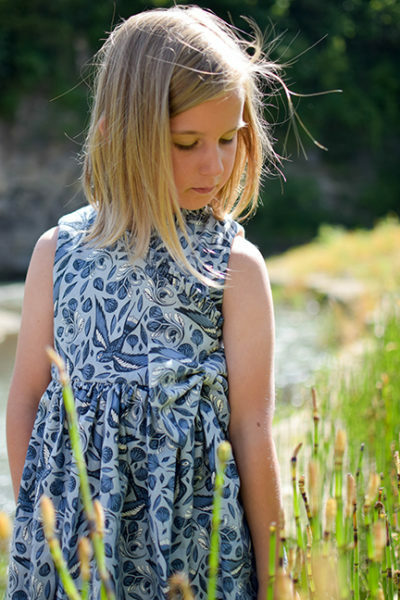 Uses dress weight wovens or easy to find quilting cotton for maximum cute fabric potential. Do you have a fantastic piece of fabric that isn’t enough to do a full project with? The Rivier Dress is the perfect solution; just pair it with a coordinating solid and create a statement dress! I would be interested in testing your pattern.